Junior year of high school is stressful no matter what else students have going on in their lives. Preparing for college entrance exams, studying for advanced placement tests, and getting ready to apply to college can be overwhelming. As a student at Weston High School in Connecticut, Steven Dampf enjoyed running on the varsity cross country team and playing on the varsity tennis team — and was even ranked 14th in the state for tennis. His junior year was turning out to be the best academic year of his high school career when he received the news that he would need open heart surgery. It was not entirely unexpected: Steven was born with a bicuspid aortic valve, a defect in the valve that regulates blood flow between the left ventricle and the aorta (the body's largest blood vessel). In Steven's case, there was a backflow of blood that increased the strain on his ascending aorta (the part coming out of the heart), which caused a bulge in the aortic wall. Michael Snyder, MD — a pediatric cardiologist at NewYork-Presbyterian Morgan Stanley Children's Hospital — had been monitoring Steven's enlarged heart and told him, just before Christmas 2016, that the surgery must take place in the next two to three months. "We learned when Steven he was 9 or 10 that he had this heart defect and we had been watching it, but most people who have it don't need surgery until they're adults," explains his mother, Vanessa. Steven, then 16, preferred a valve repair over a replacement because it allowed him to avoid lifelong blood thinners and live without activity limitations. His surgeons made no promises, noting that a valve replacement was a possibility if they found out during surgery that the valve could not be saved. A team of pediatric cardiac surgeons led by Emile Bacha, MD, worked a miracle: Using an approach called the David procedure, they were able to repair the valve and replace the defective part of his aorta with a synthetic graft. "It was the scariest thing I've ever been through, but I was relieved when I woke up and learned that everything went well," Steven notes. He was told he might spend one to two weeks in the hospital, but was able to go home after just four days. His GPA was the highest it had ever been, and he was determined to keep it there. Tutors came to his home starting two weeks after surgery and continued to work with him until he was back at school full time. He returned to school in April for short days, building himself up to full school days after six weeks. His teachers never went easy on him and he completed all of his missed work. On top of that, he took the SAT exam just five weeks after surgery with the rest of Connecticut's juniors, and the ACT a week after that. "We couldn't be happier with the whole experience at NewYork-Presbyterian," says Vanessa. "Everyone was so supportive. There was a dedicated nurse in the ICU and always a place for us to sleep. After he came home, they continued to call to make sure Steven was doing okay." The Connecticut Varsity Tennis State Championship was quickly approaching, and Steven — who had been undergoing physical therapy after the surgery — was determined to play. His tennis coach told him he could go with his doctor's permission. After pleading with Dr. Snyder, Steven had a stress test in May and received the green light to return to his varsity tennis team. He practiced with the team for one week and then began the week-long Championship, making it to the finals playing doubles. "I didn't expect to make it that far!" says Steven, crediting his family, his coach, and his team for supporting his recovery. As a finalist, he also made the All-State team. Today he sees Dr. Snyder just once a year for follow-up. He teaches tennis to children and goes to the gym five days a week. He can now lift weights and engage in contact sports — activities he could not pursue before the surgery. Because he had a valve repair instead of a replacement, he may need another heart surgery as an adult, but it is likely to be decades away. 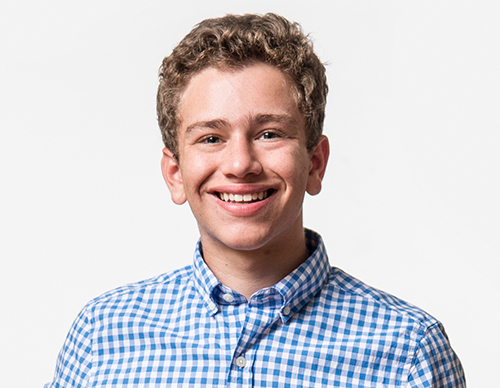 Steven graduated high school in 2018 and will be attending Colgate University, where he plans to be premed — perhaps studying neuroscience. He is also a licensed EMT. "I was very impressed with the way NewYork-Presbyterian handled my surgery. It is a dream of mine to be part of a program like that," he says. "I'm grateful to my surgeons and my team at NewYork-Presbyterian. They did all they could to help me recover as quickly as possible."